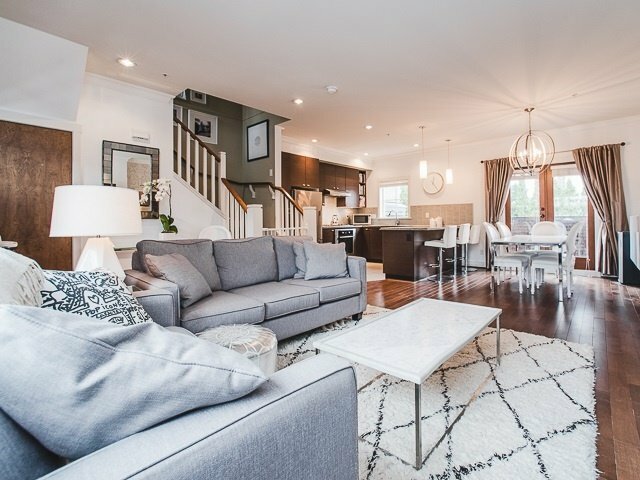 Stunning Townhome in the Carrington. Quiet inside 2 bedroom 2 bathroom unit that has been beautifully finished. Unique open floor plan that is perfect for entertaining. Main level includes a gorgeous kitchen, fireplace and crown moldings throughout. Upstairs includes 2 excellent sized bedroom with two full bathrooms. The Master bedroom has a great walk through closet into a fantastic master bathroom. 2 separate outdoor areas in the front and back that are great for the warmer months. 2 side by side parking stalls and a storage locker included.